Earlier today Barcelona announced signing of 23 year old Portuguese International Nelson Semedo for an undisclosed amount. Semedo to Barcelona could just be the perfect signing for the Catalan side. Last season Barcelona were forced to play with make-shift right back Sergi Roberto as Aleix Vidal who was signed as a replacement for veteran Alves fall-out of favor with Luis Enrique and injuries limited his time on pitch. When he finally seemed to have gained the manager’s confidence, he suffered a horrific ankle-breaking injury from a Theo Hernandez challenge against Alaves. Meanwhile, Sergi Roberto started the season on a high note, with his positional play and technical abilities immediately cemented his position at RB. He was the hero of the club’s greatest 6-1 comeback against PSG and also made that lung bursting run setting up Leo Messi’s last minute El Clasico winner. He is Barcelona’s swiss-knife having played at right back, central midfield, wing positions. As the season progressed, Roberto was not rotated properly by Lucho resulting in fatigue and his defensive pace dropped off. Against high-pressing and attacking teams he was exposed way too many times, PSG and Juventus being one of the many occasions where his vulnerability surfaced. Coupled with this were midfield woes. Gaping holes in the midfield and absence of a creative, controlling force led Messi to drop deep into the middle from right wing position taking matters into his stride. This resulted into almost a dead right flank offering zero creativity. When Alves was at Barca, right flank was buzzing with energy. Rakitic, Alves and Messi trio perfectly gelled together producing best attacking football, winning treble in Lucho’s first season in charge and I need not mention how divine the right flank was when Pep Guardiola was the boss. When Alves left Barca for Juventus on a free transfer last summer he had said, “You will me once I’m gone” and nobody knows this better than Barca fans that If there is one player they have missed the most after Xavi, it’s Dani Alves. Barcelona signed Alves from Sevilla in 2008 for a sum of €30 million making the most expensive defender in the history of the catalan club. Pep Guardiola, the newly appointed Barcelona coach has prophesied that with Messi and Alves they will have the best right flank ever in club’s history. Well, Alves didn’t turn out to be very bad for Barcelona. His attacking attitude, a telepathic understanding with Messi coupled with astute decision making in the final third were reasons for his dramatic rise in the Barca hierarchy. He went on to become the most decorated right back in the club’s history. Alves has provided a whopping 42 assists to Leo Messi surpassing Xavi and Iniesta. In his last few seasons with Barca, Dani’s defensive attributes were criticized a lot. To this he replied, “When we retire, they’ll say: ‘Who has been the greatest in football? Messi. And who gave him the passes? Dani.’ My name will be there, it will annoy more than one person, but it will be there.” After his move to Italian giants Juventus, Alves has flourished like even more. Last season he had 4 assists in the UEFA champions league, a record for any defender. Since 2014-15 season, he has the most assists in UCL (11) next to Messi(8). Juventus went on 621 without conceding a goal in this years UCL. Modern day full-backs are not just mere defenders. Not only are they expected to defend but going forward they need to be intelligent and make darting runs showing their attacking flair. They are expected to soak pressure from pacy wingers with most of the teams playing 3 at the front. They need to be physically ultra-fit and some youngsters like Bellerin can even beat the fastest Olympic runners in the world within short distances. Whether it was Pep’s incredible Barcelona team of 2008-12 which had Alves & Abidal, the current Real Madrid team who surmounted the impossible task of winning back to back Champions League with Marcelo and Carvajal or the recent Chelsea side of Conte who employed 3-5-2 formation in which Moses and Alonso switched defensive and attacking duties with precision, full backs are a key if you are to dominate world football. Semedo is perhaps closest someone can get to Alves. He is incredibly skilled, always looks to go forward, goes past opponents in a blink and has immense work-rate. At barcelona, sky is the limit for him. Expectations will be very high and he has a very solid backup in Aleix Vidal who will also look to strengthen his place in the starting XI after an injury-prone season. According to sources, Valverde has already assured Vidal that he will play a greater role in the upcoming campaign. So,it won’t be a straight walkover into the starting XI for Semedo. He will have to fight it out with Vidal. The magnitude of achievements Alves scaled cannot certainly be repeated in near future but Semedo brings much lost spark to this Barcelona squad. Semedo’s signing comes at a perfect time before the team leaves to US for their pre-season tour. Official statement on club’s website stated, “FC Barcelona and Benfica have reached an agreement for the transfer of Nélson Semedo, pending medical tests on Friday in Barcelona.The right-back has progressed quickly to the highest level, both with his club and the Portuguese national side, whom he represented at the last Confederations Cup. 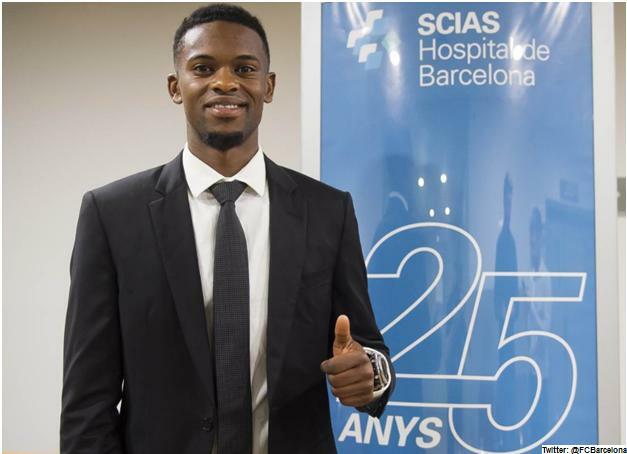 At a height of 180cm, Semedo is an offensive full-back with superb physical attributes and he will be the ninth Portuguese to defend the Barça shirt.” It is also being reported that the player has decided to cut-short his holidays and decided to travel with the team. With Semedo’s arrival the saga for right back is over. New coach Ernesto Valverde reportedly vetoed signing of Bellerin and demanded Semedo. 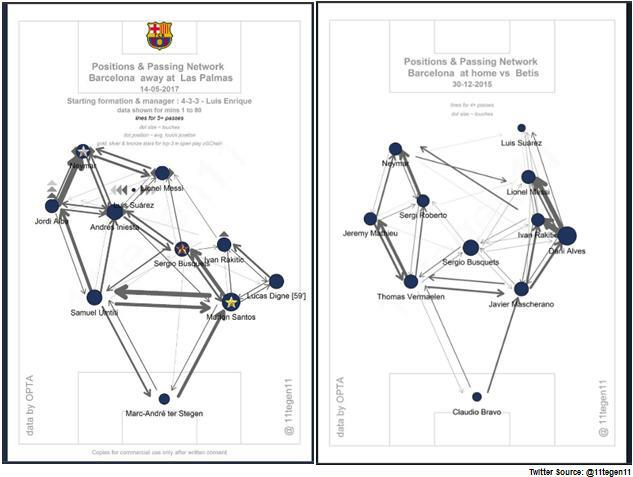 Next thing Barcelona need is a controller and creator in the middle of the pitch of the attributes of Xavi. Marco Verratti seems to be the most genuine choice for this role but PSG is stubborn in selling their best player. Coutinho, Jean Michel Seri, Eriksen and Jorginho being few other alternatives. Sergi Roberto will move back to his natural central midfield position as he will no longer be required to cover the RB position. It remains to be seen whether Valverde keeps trust in La Masia graduates like Roberto and Samper or Barca goes all out for Verratti.